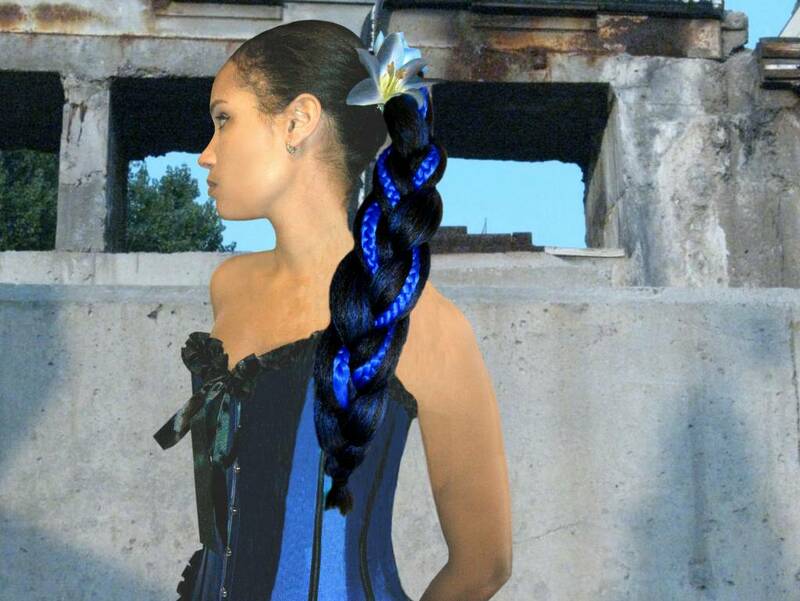 Supersize Fantasy Braid in a special edition with differently colored interwoven braids! 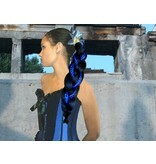 Ready to ship, the braid in this offer comes in color 1, deepest black, with highlights in blue! 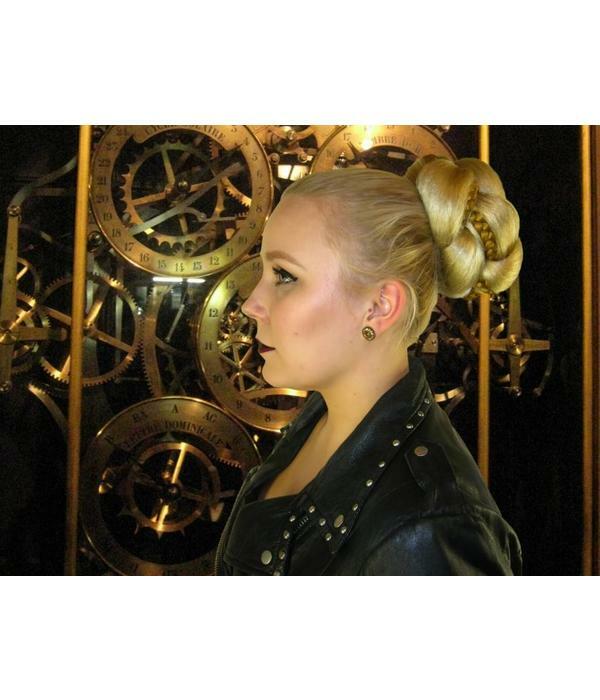 You will get the blue and black braid, the pictures with the blonde bun should show you only how great this braid looks when put up in a bun! 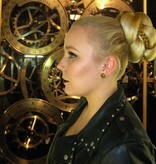 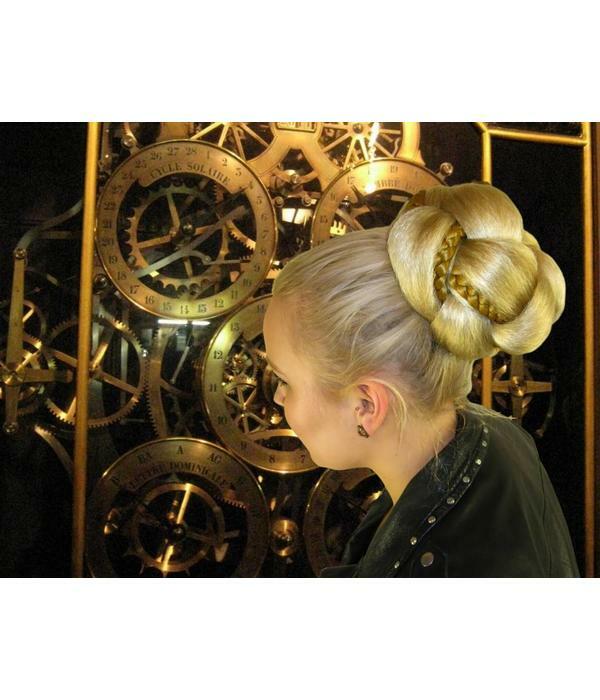 Supersize Fantasy Braid is a very lush braid which makes gorgeous hair buns, too! 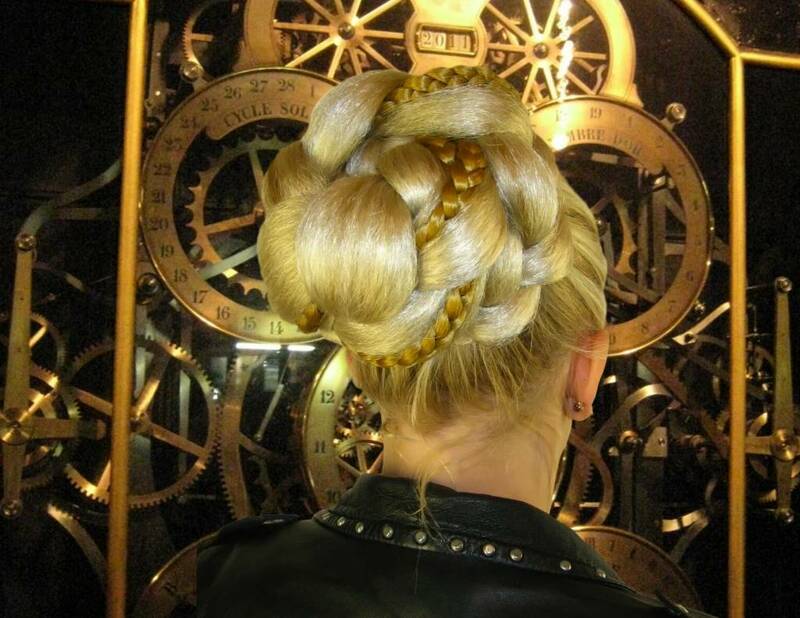 The two smaller braids in the braid (pre-sealed, so they won't open!) 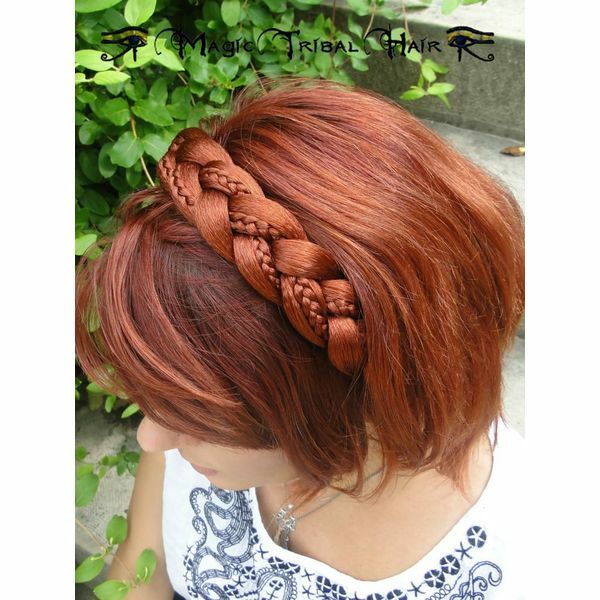 just run with the flow when you rebraid the braid! 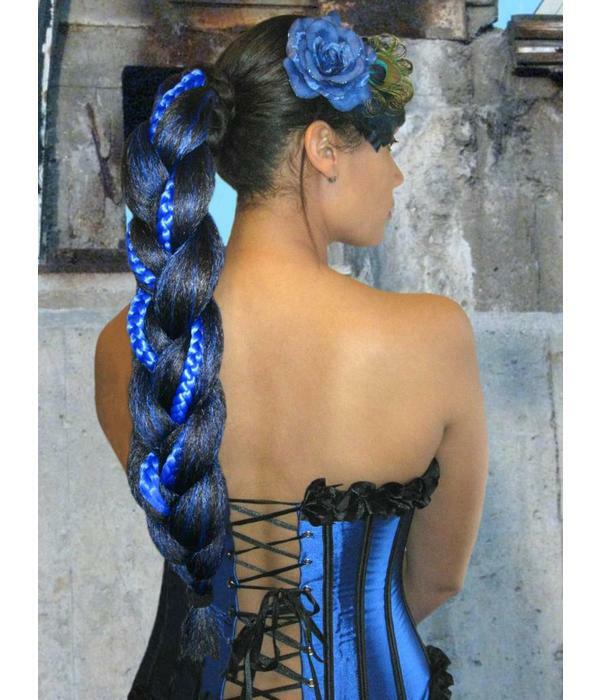 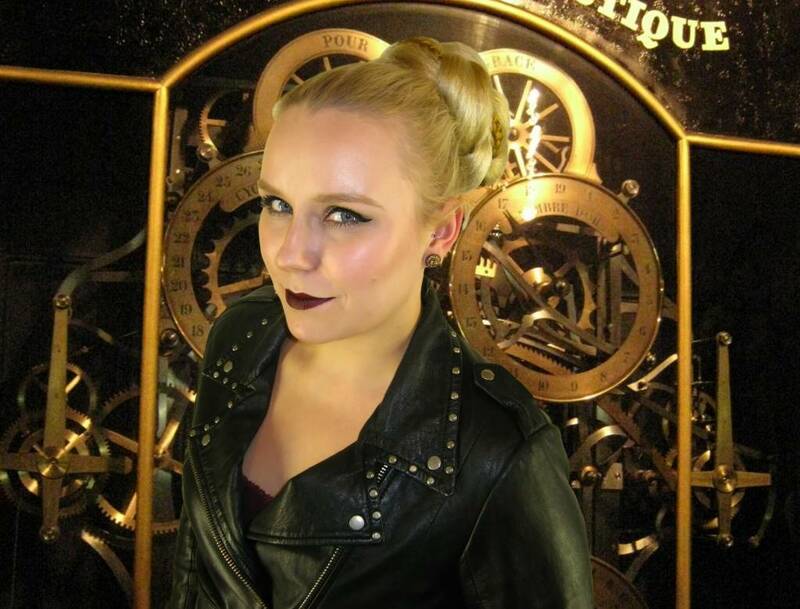 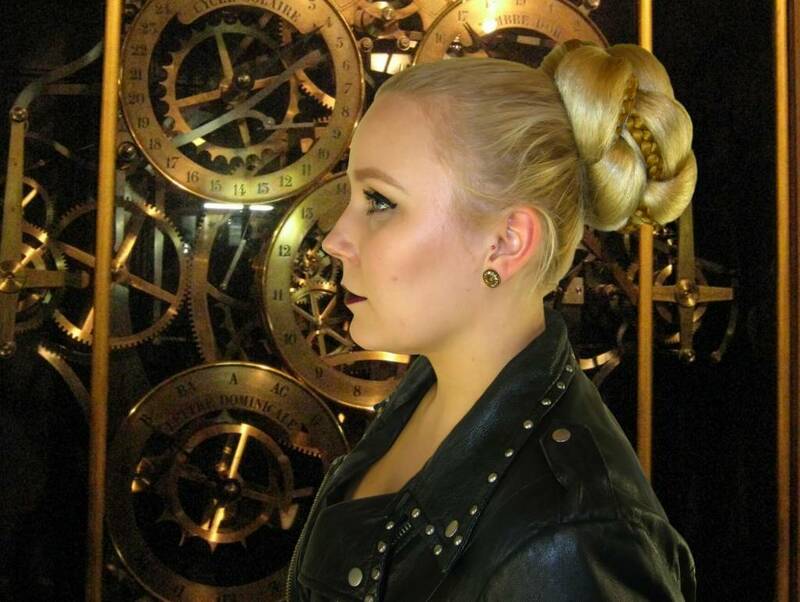 Model Supersize Fantasy Braid is a real allrounder and popular for festive and formal occassions like weddings (especially for the bride and bridesmaids), proms but also for costuming (Larp and Cosplay) and underground looks like Goth and steampunk! 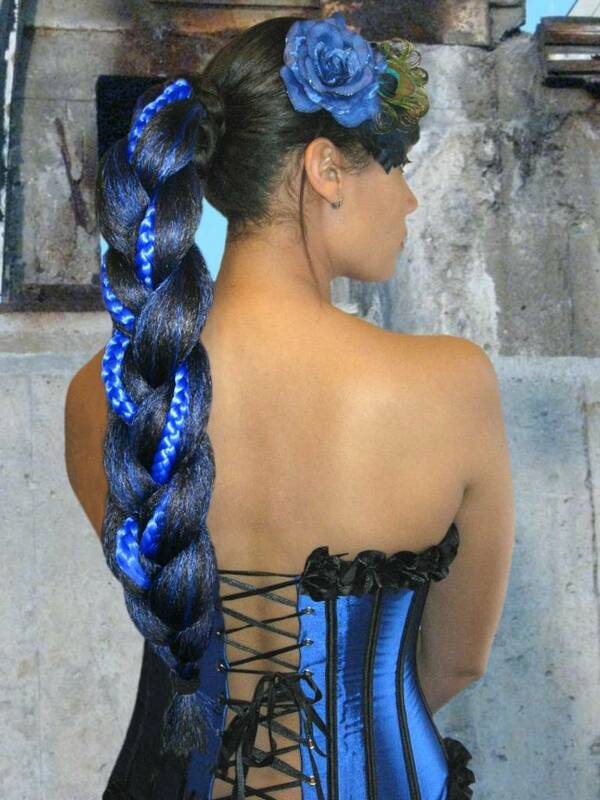 Supersize Fantasy Braid offers rich volume in a lightweight hair piece due to the crimped hair texture. 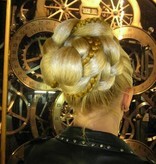 The plait weighs about 180 grams only! 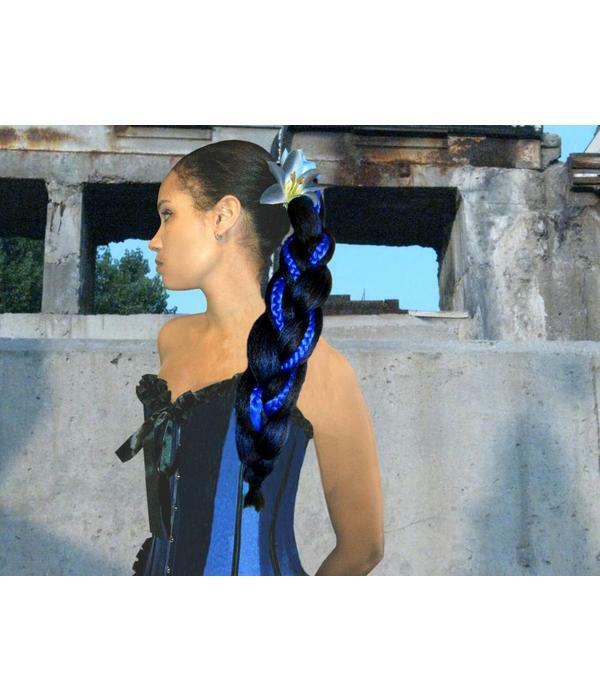 This braid hair extension is about 50 cm/ 20 inches long, 11 cm/ 4.3 inches wide and 4 cm/ 1.6 inches thick when braided. 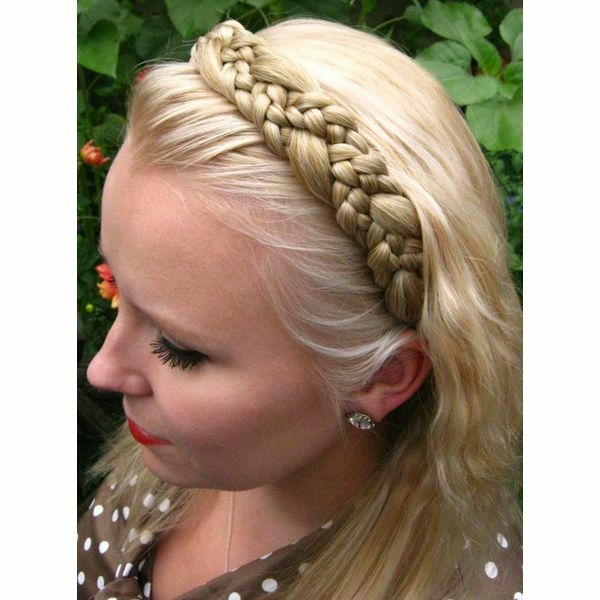 You can vary the size a bit by braiding it more or less tight. 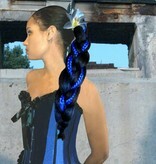 Please understand that hair pieces cannot be returned due to health code laws! 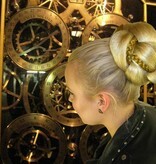 Read all details in our general terms and conditions. 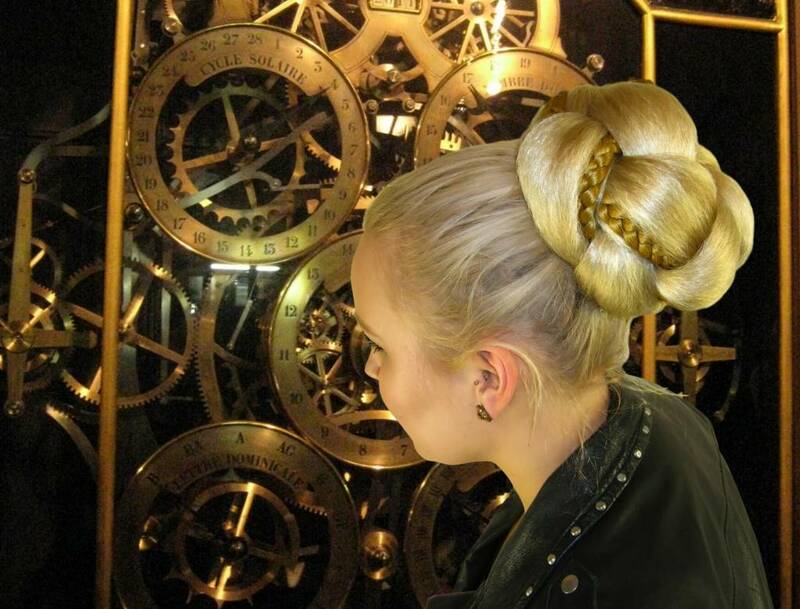 Professional Fishtail Attachment = strong hair tie and two additional strands of hair which complement your own hair so you have more to wrap around the attachment. 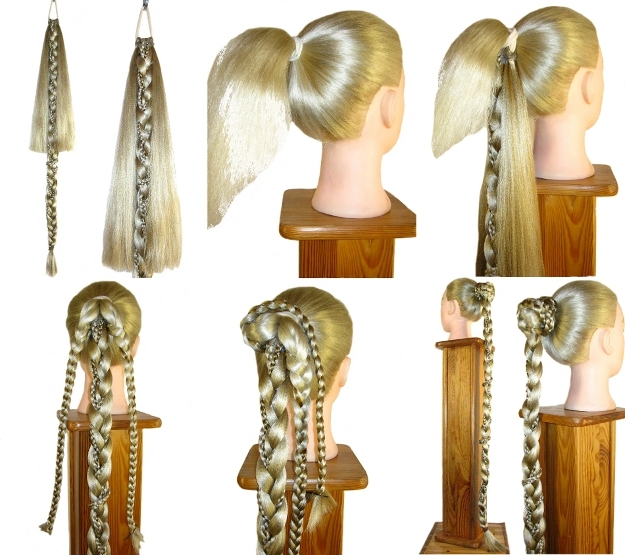 The recommended attachment for our Fantasy Braid! 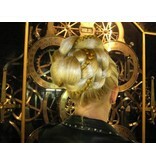 Contact us for any questions about our braids!